Senior Corporal Mark Nix was shot and killed while attempting to apprehend a murder suspect. Corporal Nix and his partner had responded to backup two plainclothes officers who had spotted a car believed to have been used during a homicide two days earlier. The suspect vehicle crashed in the 4100 block of Bernal Drive following a short pursuit and the suspect opened fire from inside the car, striking Corporal Nix in the chest, neck, and leg. 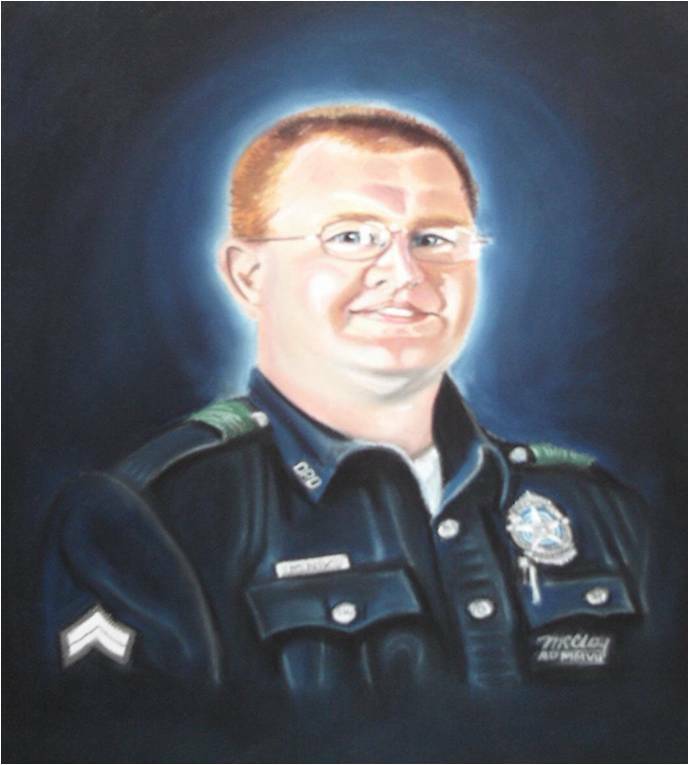 Rush-hour traffic prevented ambulances from promptly responding to the scene so another officer transported Officer Nix to Parkland Memorial Hospital, where he succumbed to his injuries. The killer remained in his vehicle following an exchange of gunfire with officers in which he was wounded. After an approximate two hour standoff, members of the Dallas Police Department's SWAT team breached the car and took the man into custody. The subject was convicted of capital murder and was subsequently sentenced to death. Senior Corporal Nix was a United States Navy veteran of Operation Desert Storm and had served with the Dallas Police Department for just under seven years. He is survived by his fiancee, parents, and sister. Another year and this day is almost gone. You are never far from my thoughts but even more so on the anniversary of your death. I love you and miss you son.